Butterflies, moths and dragonflies are locally common along the Sandstone Trail. Like other species, they rely on specific habitats that are often under threat. The protected habitats along the Trail from coastal marsh, broadleaved native woodlands, hedgerows and copses, to Cheshire’s many lakes, meres, ponds and pits, and priceless lowland heath each attract their own distinctive residents. Thirty-five species of butterfly were seen in Cheshire in 2009. Many can be seen by walkers on the Sandstone Trail. Common mid-Cheshire butterflies include the large white, orange tip, meadow brown, gatekeeper, speckled wood, comma, wall, small tortoiseshell, peacock, red admiral, common blue, brimstone, and holly blue. Small coppers, small and large skippers, and common blues flourish on the unimproved grasslands at Snidley Moor, Pale Heights, Eddisbury, around Beeston, and elsewhere. Painted ladies and red admirals are annual summer migrants to Cheshire. And the green hairstreak, which feeds on bilberry plants, can be seen on Bickerton Hill. But the best news is the increasing number of purple hairsteak colonies still being found in Cheshire, and the slow return of the elm-dependent white admiral to a few secret sites along the Weaver Valley in mid Cheshire. Well over a hundred different species of moth have been recorded in Cheshire. Common moths in Cheshire include: the cinnabar, common carpet, snout, yellow tail, lesser yellow underwing, garden carpet, white ermine, peppered moth, marbled beauty, scalloped oak, and the ghost moth. 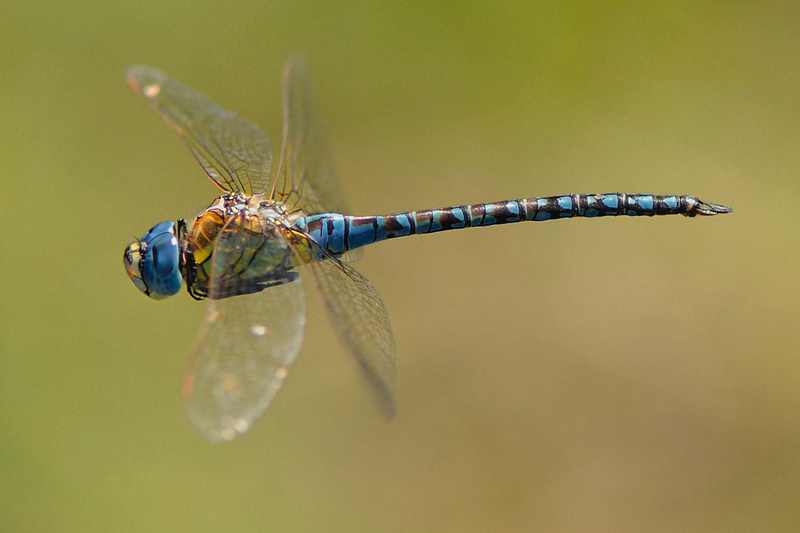 Many of the twenty-seven species of dragonfly known in Cheshire can be seen along the Sandstone Trail. Dragonflies are common close to the central Cheshire meres and mosses along the Trail include those around Delamere Forest at Blakemere, Hatchmere, Linmere and Black Lake; and around Peckforton Mere and Barmere, towards the southern end of the Trail. They also patrol the sunny rides in several parts of Delamere Forest. Common Cheshire dragonflies include the common hawker, southern hawker, brown hawker and migrant hawker, the emperor and lesser emperor, the broad bodied chaser and four-spotted chaser, and the common darter, red-veined darter, and ruddy darter.